Just one goal separated Oriental neighbours, FC Ifeanyi Ubah and Rangers, in the Nnewi meeting. The goal coming from a spot kick converted by Prince Aggreh. 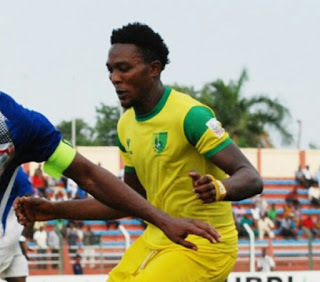 And in Lafia, Kennedy Boboye, with no speck of surprise, took Plateau United to their sixth unbeaten streak since the commencement of the season. Unfortunately for Rivers United, they lost for the first time this season, at Ibadan, while Abdul Maikaba picked first three points at home to Remo Stars. Although there was nothing, in terms of goals, to separate the two sides, Kennedy Boboye lads would consider it a triumph to have shared the spoils in Lafia. After Match Day 6, Plateau United still remain invincible. The game was touted to be an acid test for the Jos boys, but they proved, once again under the tutelage of Boboye, that they are spurred to maintain supremacy on the table. This is Nasarawa United’s third draw in the season and the second in front of home fans at the refurbished Lafia Township Stadium. The weekend result leaves Kabir Dogo’s side 15th on the log with six points from six games. This did not go down well with the club’s supporters who expressed discontentment with the gaffer. For Plateau United, it is a bright start as they leave Lafia still on top having garnered 14 points from a possible 18. Impressive. At last, Abdul Maikaba gets his first maximum points after 5 attempts. If you consider Maikaba’s feats last season, you will agree that he is starting this season on his lowest ebb. Despite 1-0 the victory over Remo Stars, Akwa United still occupy a peeving position: 19th on the log while, Remo Stars leave Uyo maintaining their 17th place. 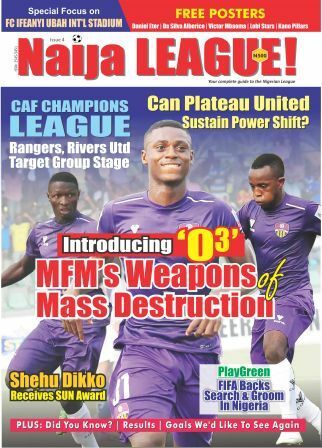 Akure fans were shocked by MFM’s unprecedented victory. The Fidelis Ilechukwu’s side maintained Steven Odey’s strike to leave Akure with maximum points. This defeat has dragged Sunshine Stars to the base of the table. The Oriental Derby in Nnewi was fierce, as expected, but Prince Aggrey made the difference after he slotted home a spot kick in the second half after Seka Paskal had missed a penalty in the first 45 minutes. Both sides will put this game at the back of their minds in order to kick-off continental proceedings this week. Not a good one for Stanley Eguma led Rivers United as Shooting Stars of Ibadan ended their unbeaten run. The Port Harcourt side lost by 2-1 and this result sees them going into their continental campaign at the back of a defeat. In Kano, ABS tasted defeat in the hands of Kano Pillars. The score line was 1-0. El-Kanemi also defeated Enyimba FC in Maiduguri by 1-0. This extends El-Kanemi’s impressive home winning reputation. In Umuahia, Manu Garba could not outwit veteran Okey Emordi. Abia Warriors’ new signing, Sunday Adetuji gave the homers the victory with an impressive second half header, a debut goal. Lobi Stars humbled visiting Wikki Tourists 2-0 at the Aper Aku stadium in Makurdi while Katsina United traveled all the way to Lokoja where they shared the spoils with Niger Tornadoes.